I’ve just got in from a night out dancing to read the news that Kevin Greening died last night in his sleep. Only 44 years old, I’m really sad at this news. 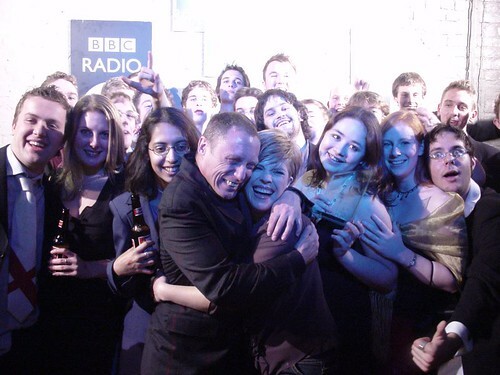 I spent a year working with Kevin in his role of chair of the Student Radio Awards in 2003 – 2004. We had meetings with him maybe 3 or 4 times a month over 9 months and he was always really lovely, patient and encouraging, and he really cared about helping new talent succeed. I can’t say I ever really heard him on air, I hadn’t found Radio 1 while he was still on the station and I don’t really hear Smooth that often, but as a person, rather than a celebrity, he was a great gentlemen (with a wicked choice in suits!) and my sympathies go out to his partner, his friends and family. What a lovely photograph of Kevin. He always wanted to help people, and had zero ego. A truly great radio presenter and a wonderful man. Life ain’t fair. A nice tribute. Such a shame.